You can even host your Photo Contest on your Facebook and on your Website at the same time. All data will sync regardless of where a person decides to enter. 6. After you connect with your account a drop down menu appears with all of your Facebook pages. 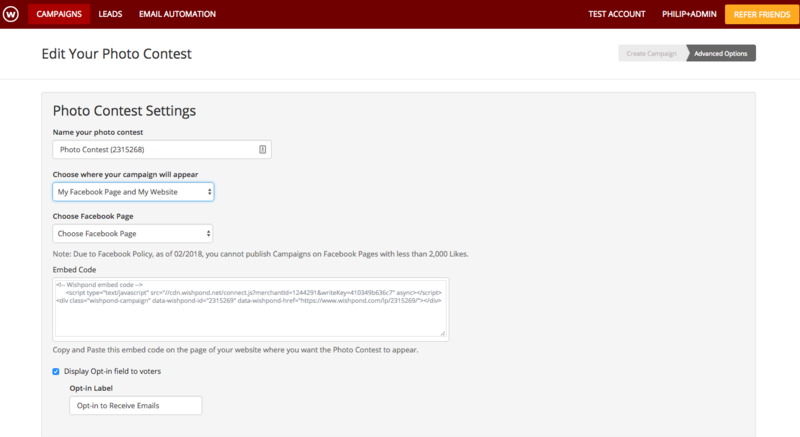 Click the drop down menu and select the Facebook Page you want to publish your Photo Contest to. 6. For your website you will now need to copy the script code that appears below the publishing options and paste that into the html of your website.